Two of the most recognizable financial institutions around are the World Bank and the World Trade Organization. Although both are commonly confused with one another, both of them are two entirely different organizations that have virtually nothing to do with each other. This comparison article should clear up any confusion you may have between the two. The World Bank is an international financial institution that offers various types of loans to developing countries. These funds are meant for use funding different development programs. The World Bank does all this with the goal of reducing poverty worldwide. 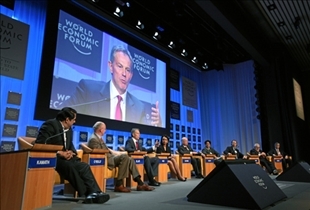 It is important to make the distinction between the World Bank and the World Bank Group, with the former being comprised of the IBRD or International Bank for Reconstruction and Development and the IDA or International Development Association, and the later being comprised of those two organizations plus the IFC or International Finance Corporation, the MIGA or Multilateral Investment Guarantee Agency, and the ICSID or International Centre for Settlement of Investment Disputes. As for the World Trade Organization, it was established with the primarily goal of supervising and liberalizing international trade. The organization was launched on January 1, 1995, in order to take the place of the GATT or General Agreement on Tariffs and Trade. The primary focus of the World Bank is to achieve what are called the Millennium Development Goals or MDGs. These goals essentially involve lending funds to "middle-income countries" with interest rates that are similar to their own. The IDA itself provides low or even no interest loans to borrowers, and offers grants to countries that have few opportunities to benefit from international credit markets. The IBRD arm is a nonprofit organization that uses its high credit rating to compensate for its low interest loans. In general, these organizations make it easier for low-income countries to avail of funds that would otherwise be unobtainable. The World Trade Organization on the other hand, is primarily involved with trade regulations of its member countries, providing a platform for negotiating trade agreements. 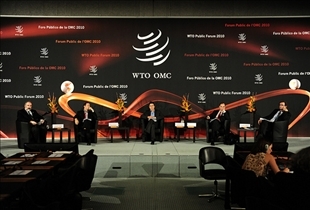 The organization also offers dispute resolution services that ensure the adherence to WTO agreements. The World Bank is comprised of 186 member nations in its IBRD or International Bank for Reconstruction and Development arm, and it has 168 members in the IDA or International Development Association branch. The World Trade Organization for its part is compromised of 153 member nations, 123 of which were members right at the start. Which organization attracts more protesters?